Up until she was five years old, Audrey’s life was pretty normal. Then, after an exhilarating night of trick-or-treating, she started complaining of leg and stomach pains. At first, her parents figured it was too much candy and running around. 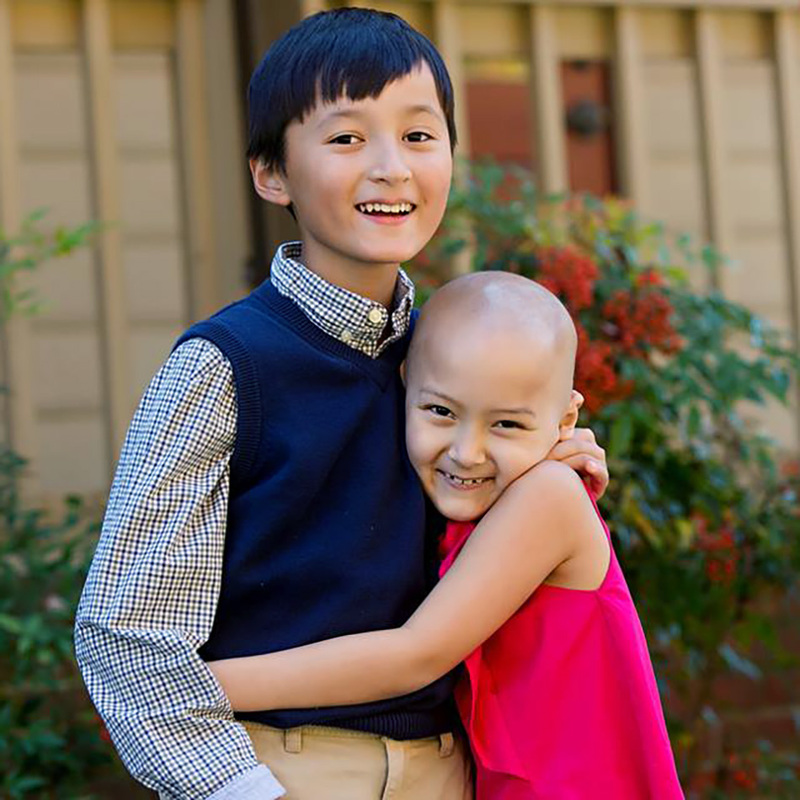 But within ten days, doctors had a diagnosis that shocked everyone: neuroblastoma, a cancer of the nerve tissues. It was in her abdomen, spine, skull, and legs. 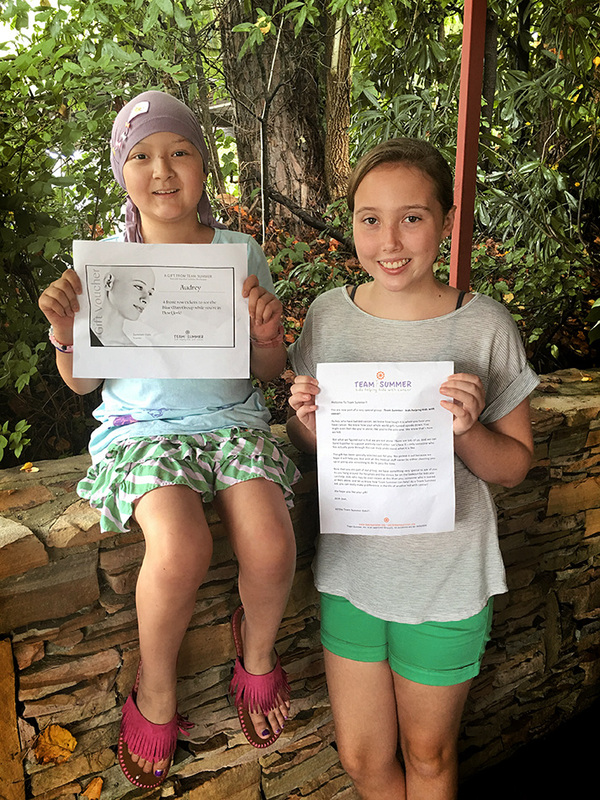 Almost two years later, after an extraordinary amount of treatment that included an extensive surgery, radiation, chemotherapy, and antibody therapy, Audrey beat the odds. She was declared NED (no evidence of disease). But then a little less than two years after that, the cancer came back with a vengeance. 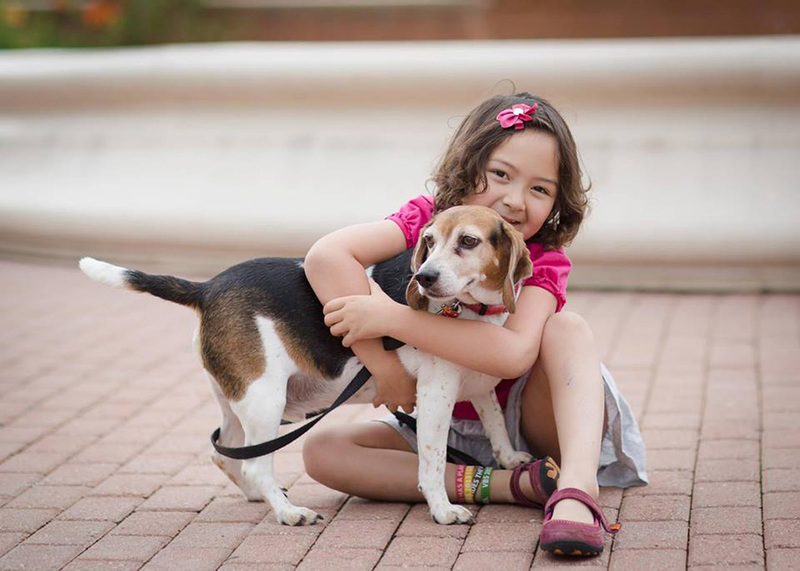 Audrey’s only option was an experimental chemotherapy trial. After only two rounds, Audrey beat the odds again. Remission! But three years later, she relapsed again. 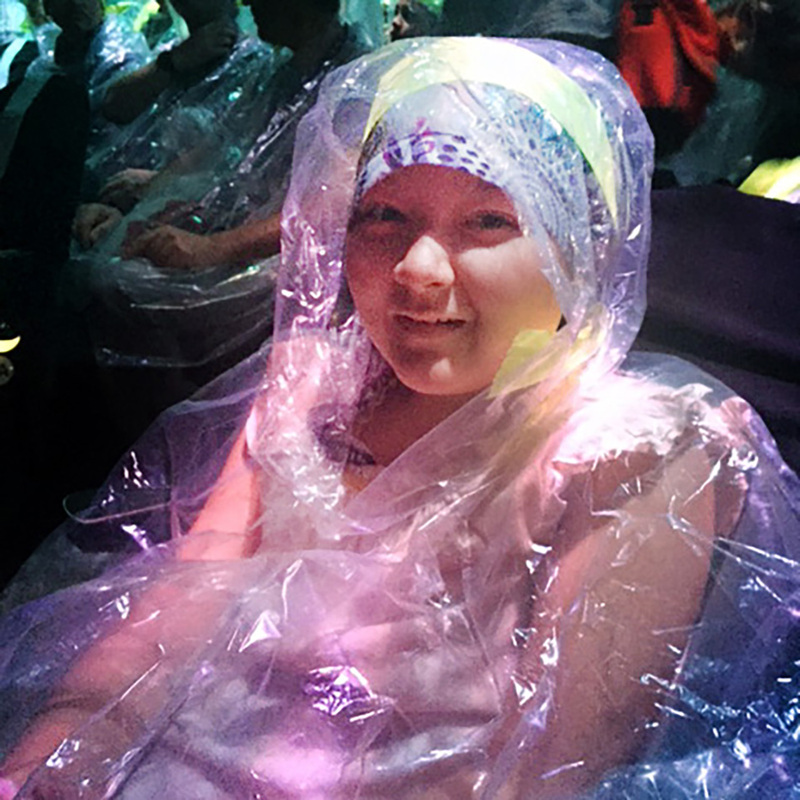 This time, Audrey, now 11 years old, had to travel to New York City to Sloan Kettering for treatment, where she faced more surgery, radiation, chemotherapy, and immunotherapy. Moving temporarily to a strange city was daunting. Still, it WAS New York City, and Team Summer kid Kayla wanted Audrey to at least have a little fun while she was there! Right before Audrey left for The Big Apple, Kayla surprised her with four front row tickets to see the famous show Blue Man Group! Now if you know anything about this wacky show, you know you better get covered up! Everything from paint to marshmallows comes flying at you! Audrey will have to give you all the details, but suffice it to say the show was FUN!! 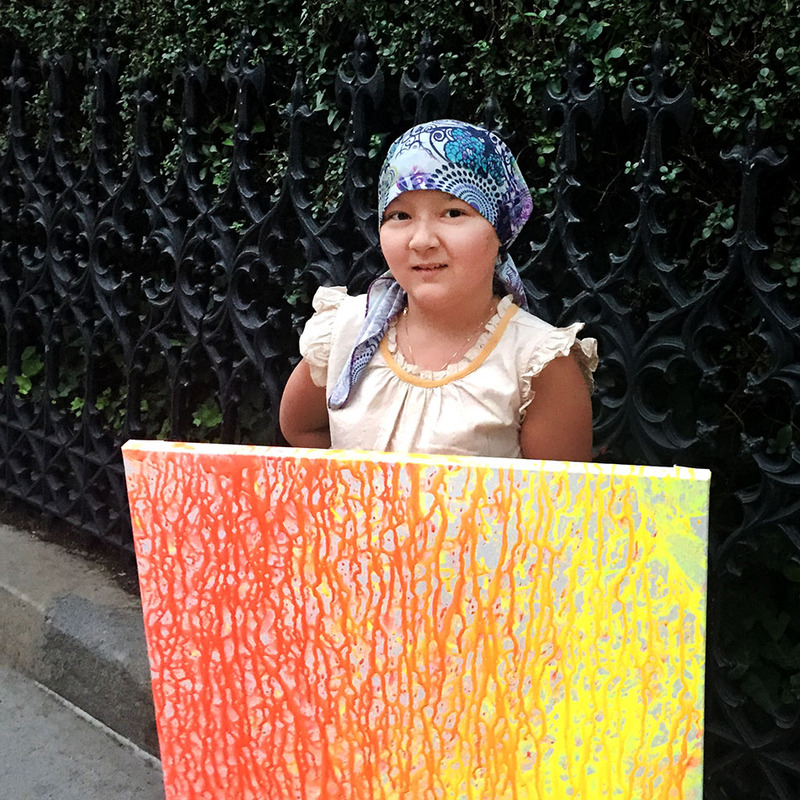 Her favorite part was when the blue men poured paint on their drums and then banged on them, splashing the paint onto a canvas. And guess what? The blue men gave the resulting “art” to Audrey! 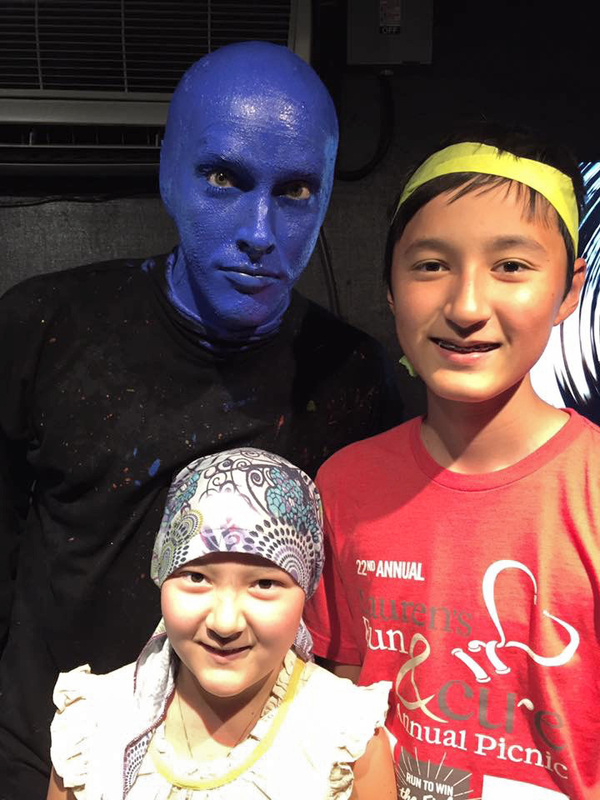 And she and her brother even got to have their picture taken with one of the blue men! Kinda creepy…but cool! 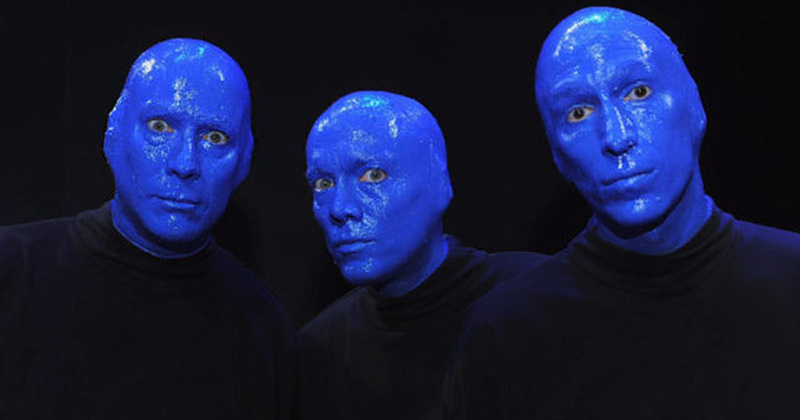 Audrey, we know other parts of your New York visit were not pleasant, but, hey, when you are surrounded by blue men, you’re not thinking about cancer, right? And THAT is the whole idea of a Team Summer gift. Thanks for making it happen, Kayla! !